Generation Z’s emergence has inspired an endless stream of articles and advice explaining how to satisfy the young cohort’s unique preferences. As a marketer, I’m all for catering to consumers’ needs. As an educator, however, I’m paid to help students grow and change, and Gen Z is no exception to that charge. Having grown up with laptops, tablets and smartphones, Gen Z is very adept at living concurrently in the physical and virtual worlds. That life history, however, also makes it easy for this generation to overlook important in-person interaction, sometimes ignoring others as screens control their attention. Such scenarios play out everywhere from classrooms to coffee shops. Gen Z needs to set boundaries that help them avoid digital distractions and focus on the people who matter most: the ones who are physically present. Another byproduct of our tech-intensive world is constant communication, which comes naturally to Gen Z, especially texting. These short and sweet exchanges work well, but the same standards shouldn’t be applied to other media like e-mail. I often receive e-mails from students that are ambiguous or come across as curt because the senders wrote them as if they were texting. Brevity can be a virtue, but Gen Z needs to ensure that all of their communication is context-appropriate, clear and complete. The last thing many Gen Z’ers want to use their smartphones for is to make phone calls. They’d rather text, which is often fine; however, there are times when it’s just more effective to talk with someone. In the business world and in other arenas, complex issues often require conversational interaction that’s best accomplished on the phone, if not in-person. 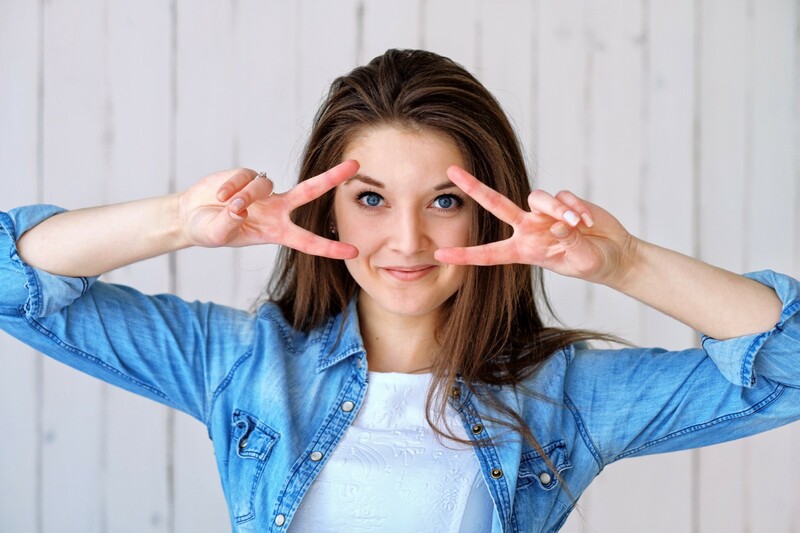 As such, Gen Z must make sure it possesses the skill of extemporaneous discourse, while also managing important nonverbal cues like tone of voice and inflection. Some of the things I appreciate most about Gen Z are their cool composure and easy-going attitudes. Being relaxed has its benefits, but it can also become a problem when one takes demanding situations too lightly or strolls into challenging circumstances unprepared. The generation that is so naturally nonchalant sometimes needs to be more “chalant” and take finely tuned action in situations that are more complex and where appearance matters. A student asked me to recommend him for an important internship program, so I wrote a very positive letter of support and e-mailed it to him. After more than a week without a reply, I asked if he had received the letter. He said he appreciated it and apologized for not responding. All of us at times forget to say thanks. Unfortunately, however, I’ve had many similar experiences with Gen Z’ers neglecting to show appreciation or to even acknowledge very significant assistance. It’s important for this cohort and each of us to acknowledge others’ kindness. Ingratitude can be a relationship killer. Members of Gen Z have many positive qualities that should be affirmed and which will serve them well in the workplace. Still, this cohort must do what every other generation has done: adapt its less productive behaviors to relate more effectively to others who are different from them. Those in positions of influence can also consider these five tips and how they might help Gen Z realize their full personal brand potential. David Hagenbuch is a professor of marketing at Messiah College, the author of Honorable Influence and the founder MindfulMarketing.org, which aims to encourage ethical marketing. Before entering higher education, he worked as a corporate sales analyst for a national broadcasting company and as a partner in a specialty advertising firm. His writing has been published in Forbes, Entrepreneur, Marketing News, and Business Insider. Marketing News features original news coverage, exclusive insights, trend analyses and more.